I use CleanMyMac 3 to clear caches ocassionaly on my mac, but I don't clear Safari caches often using CleanMyMac becuase I believe that clearing Safari caches logs you out of all the website you are currently logged into, logging into the websites again by entering passwords is a hit or miss scenario. Luckily, CMM3 gives you the option to clear some parts of the file and leave the rest but I don't know which part of the Safari System Caches stores and remebers active logins. I am attaching a screenshot to give a better idea of all the cache files I am currently able to see. Browse other questions tagged macos mac safari . Why is the system dictionary not available from .pdf files containing text within Safari? 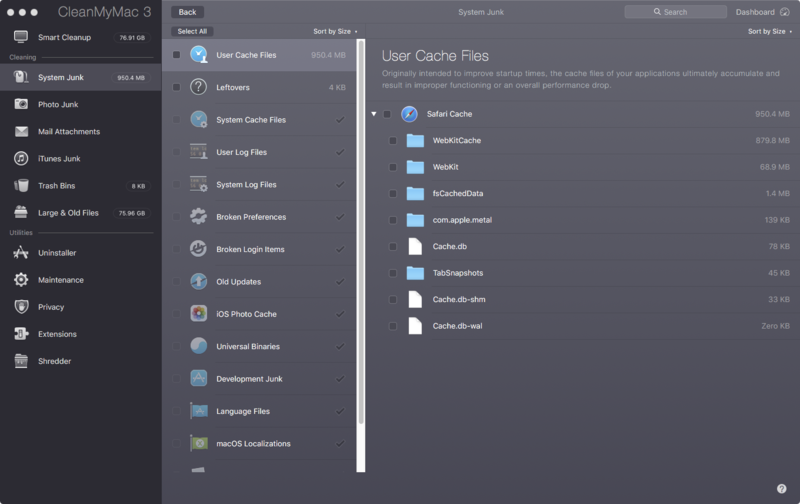 How to disable all caches in safari 11?